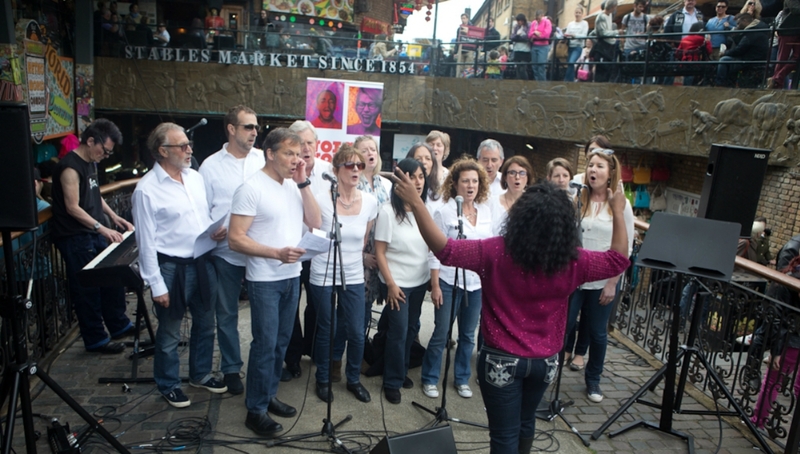 The Open Stage is the series of free performances taking place during the daytime at the festival, set in the vibrant surroundings of Camden Market. A unique opportunity to sample music from some of the best choirs in the UK, experience what happens when these groups come together to share their love of singing. There are also free performances taking place in Torquils Bar in the Roundhouse both afternoons of the festival – browse the line-up and set times for the Toruqils Bar Open Stage.